It’s me Nneka. I’m finally sending in this story that has been sitting half finished on my computer for many months. 😦 I want to talk about my hair albatross, which is length retention at my edges. 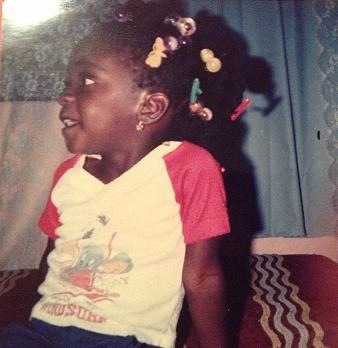 Since childhood, I have had “issues” with my edges. For some reason, my mother was never able to retain much hair in those two areas of my head. In fact, growing up, I swore everyone had edges like mine. Around grade school, where I was teased for having peaszy edges (sp), I started to realize that was not the case. We all know kids can be vicious at that age! I was grateful when my mother began to chemically relax my hair, because it appeared the problem had corrected itself. Imagine my disbelief when I started my natural hair journey, only to realize how bad off my edges still were. Don’t get me wrong, I do have hair there. But, the first two inches into my hairline is extremely short. Looks like I get it buzzed at a barber shop, but I do not. Of course, my high school micro dot/braids faze didn’t help matters much. I would get a skilled girlfriend, to “catch” the small amount of hair, and tightly hang human hair around it. Then I had that short, but detrimental lace front wig obsession. Now, I want my edges back, and I am open to suggestions. I have tried just leaving them alone and that didn’t work. 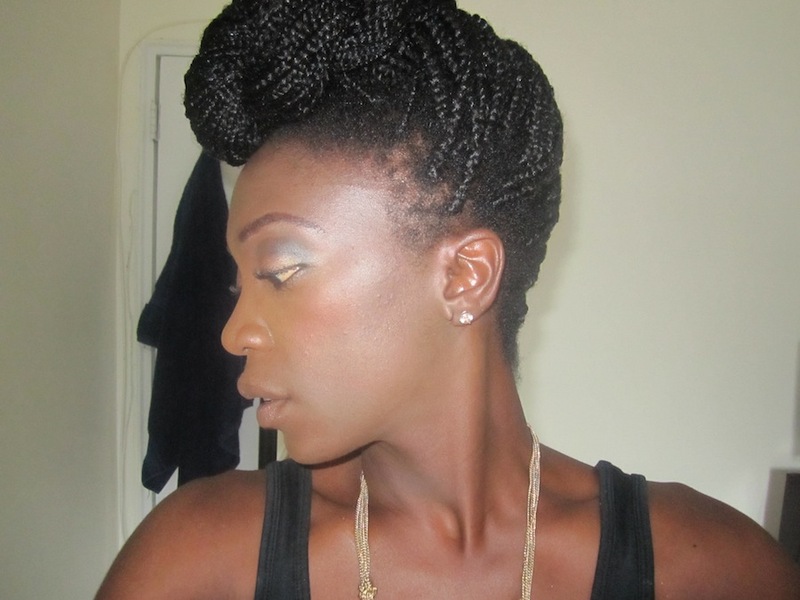 I tried messaging both areas with regular castor oil for two months … and that didn’t works. Then I tried massaging the area with Jamaican black castor oil … and no, that didn’t work either. I think the area needs moisture. It does look excessively dry. I have started a new challenge on my blog. I will spray my edges 2 times per day and then seal with a thick sealant. Other than that, I don’t know what to do. Part of me believes it may just be hereditary and there’s nothing I can do. However, the vain girl deep down in me, can’t just let it go. Can you or your readers be of any help? Hey Nneka!! First, sorry it took me a month to get this up lady!! 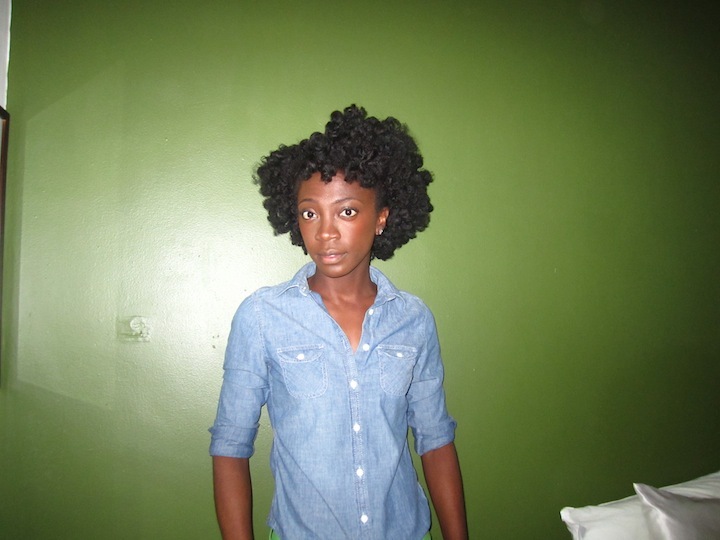 Second, I saw your Natural Hair Style Icon story on BGLH a little while ago!!! Awesome!! You looked gorgeous! Third, I just checked out the recent posts on your site to see how you are doing with your planned regimen. I see that you recently got a significant cut that removed damaged hair, are using a hand-held steamer a minimum of three times a week to instill and lock moisture into your hair, and are moisturizing your “sitch-eeation” nightly ;)! I also saw that you used sulfate shampoos in the past and are now co-washng instead. So, it sounds like you are on the right path to retaining moisture (though I would suggest using a sulfate free shampoo at least once a month to cleanse your scalp). In regard to additional advice, as you indicated above, your thin edges might be genetic. But, when has that ever stopped us from trying to beat Mother Nature ;)? If you know that your hair hasn’t been properly moisturized in the past, I don’t think it’s a confirmed fact that your shorter edges are at their terminal length. Also, if the strands are fine/fragile and you have been tugging/stressing them with extensions, weaves, braids, wigs, hair accessories, hair tools like brushes or combs, they may have not had a chance to be all that they can be. Deep condition weekly with a moisturizing conditioner using my Cool & Seal Deep Conditioning Trick (you may want to use lukewarm water rather than cool/cold as it seems you may have low porosity hair). 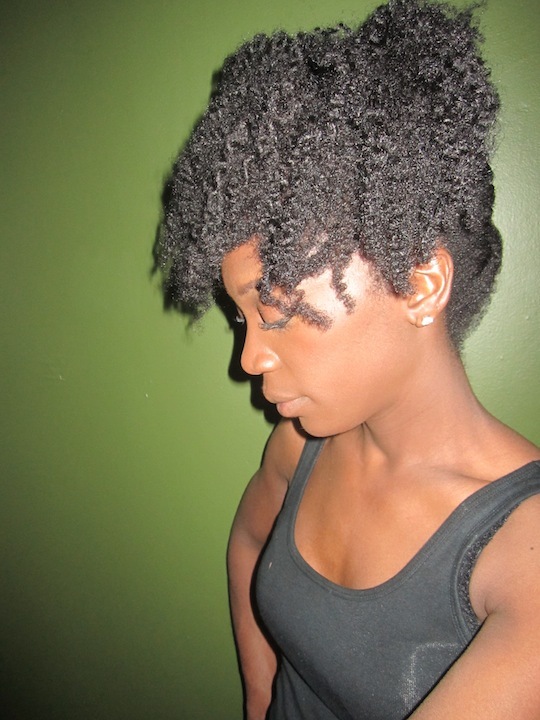 Also, check out my post, Moisturized Hair: It Starts on Wash Day. If wearing a protective style, do not pull your fine edges into braids or weaves and protect them with an appropriate cap if using wigs. Watch the edges of your satin bonnets. If your bonnet is moving around on your head at night, the elastic may be putting stress on your edges and breaking off your hair. So, try wearing a silk scarf under the bonnet or instead of a bonnet to protect your edges. If you find a scarf doesn’t work, some find that wearing their bonnets inside out preserves their edges. Or, you can may want to ditch the bonnet and opt for using a silk/satin pillowcase instead. Try massaging Wild Growth Hair Oil or the essential oil mix found here into your edges 3 days a week for 30 days and see if you notice any improvements. Good luck lady and I hope to read/hear good news from you soon!! Now I’m turning it over to you ladies!! Have thin edges been your albatross? Were you able to successfully grow perpetually short edges? If so, what did you do to regrow them? The cry for help has been raised!! Use Jamaican Castor Oil on your edges!!! This is a GREAT post for me too! I have a similar problem with breakage around the edges and nape and although it’s not as severe, these tips will benefit me as well! I have the same problem. I have tried Jamaican black castor oil and peppermint oil, WGHO, emu oil, etc. you name it I have tried it. My mom says this is hereditary and it may be. But to make sure I have resorted to going to a dermatologist to have her check it out. That way I will know for sure if there is any point on jumping on another “how to grow your edges back” natural bandwagon. You may want to try that. That could just be how your hairline is. I also have such edges and I have accepted it…… my term for it is fuzzy or baby hair. If you pay close attention you might realise that the strands are not breaking at the hair ends but that the hairs shed naturally at a faster rate there. The strands come out from the root and they tend to grow finer that other strands. My hair looks very similar to yours when braided and people constantly comment that my hair is messy; but it’s not a case of length retention there, rest assured! By the way your hair is beautiful!